There’s no place like home—and there’s no comfort level that compares to complete contentment. This means keeping your home cozy—day in and day out. As an Escondido, CA, resident, you’re in luck. That’s because Mauzy Heating, Air & Solar’s team can help you achieve your every home comfort desire. With our drive and dedication to deliver the dependable HVAC services you need, attaining and maintaining your home comfort is a breeze. However, it’s crucial that you choose the right system—and Mauzy can help you make that decision. Our contractors will examine your home’s layout and your comfort desires to determine the best heating or cooling system for your home. This is a system that has ample power to keep a consistent level of comfort throughout your home without causing your unit to overwork or short cycle. Installing a new HVAC system in your home is a long-term commitment. Mauzy will help you get it right on the first try. The quicker you contact Mauzy’s team for help, the better. So don’t delay. When you call us, our team will show up quickly, repair your system swiftly and restore your comfort before you even know it’s gone. So from the need for a heater repair to an air conditioning repair in Escondido, CA, your home (and your budget) is safe in our technicians’ hands. Your heating or cooling system is an investment. And as with all investments, it’s crucial that you protect it from encountering a glitch—or worse, failure. This means scheduling the seasonal system maintenance and routine checkups it needs before it’s too late. Mauzy’s maintenance services are top-notch. With extensive training and access to industry-leading technology, our team of certified technicians can diagnose, repair, clean and service all makes and models of air conditioners and heaters to restore your system’s operation to peak performance. 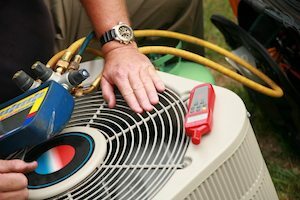 It’s time to predict and prevent future air conditioning and heater repairs in Escondido, CA, through Mauzy’s maintenance services. Providing superior HVAC services isn’t our only expertise. Mauzy’s team installs innovative solar energy systems and residential solar panels, too. So, if you’re looking to save some serious cash, then it’s time to consider going green. But don’t let the fear of this lifestyle change get in the way. Our team will guide you through the process every step of the way. Mauzy’s solar and HVAC services are second to none. For more information on how our heating, air conditioning and solar energy services can be beneficial for your Escondido home, fill out our online form or call our team at 858.900.3909 today!